Pentathlon Ireland is teaming up with the world-renowned Trinity College Dublin to deliver Ireland’s first global pentathlon competition later this month. Almost 400 athletes of all ages from 22 countries have registered to take part in the 4th UIPM Laser Run World Championships and they will do so in the historic surrounds of Trinity College in the heart of Ireland’s capital city. Laser Run is the final component of the Olympic sport of Modern Pentathlon and a sport in its own right with a burgeoning global profile. At the World Championships in Dublin there will be an open division race on the final day, enabling friends and families to participate as teams around the hallowed grounds of the 426-year-old university. 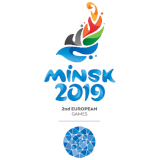 The opening ceremony will take place at 8pm on Friday, 28 September before the individual competitions kickstart the action from 9am on Saturday, 29 September. The Mixed Relay takes place at 9am on Sunday, 30 September before the open division and team charity fun relay bring the event to a close from 1pm. Laser Run consists of four 800-metre runs and four rounds of laser target shooting. The racing will take place on the cricket pitch at TCD, where spectators will be able to watch the action for free. Pentathlon Ireland is hosting the UIPM Laser Run World Championships with support from Fáilte Ireland, Dublin City Council and Sport Ireland, and has been increasing awareness of Laser Run through a series of taster days. “Hosting this prestigious global event will be another major milestone for the pentathlon movement in Ireland and our entire community is very much looking forward to it,” said event chairman James Bailey. 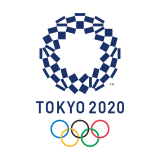 “With their exploits on the world stage, our elite athletes have been inspiring people to get involved in the sport for a number of years now – and in world No.6 Natalya Coyle and world No.3 Arthur Lanigan O’Keeffe we have two wonderful role models operating at the top of their game. Laser Run was officially introduced in 2015 when the International Modern Pentathlon Union (UIPM) hosted its first Laser Run World Championships in Perpignan, France. In 2016 the event took place in Lisbon, Portugal and in 2017 in Cape Town, South Africa. In 2017 the Global Laser Run City Tour was introduced. In 2018 the circuit consists of almost 100 cities in every continent of the world. 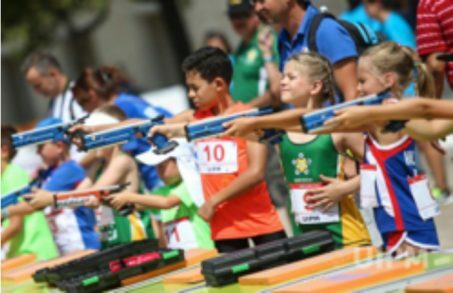 At the 2016 UIPM Congress, Laser Run replaced ‘Combined Event’ as the official name of the final discipline of Modern Pentathlon, which has been a core sport of the Olympic Games since it was introduced by Baron Pierre de Coubertin at Stockholm in 1912.